Don’t jeopardise safety for lightness! 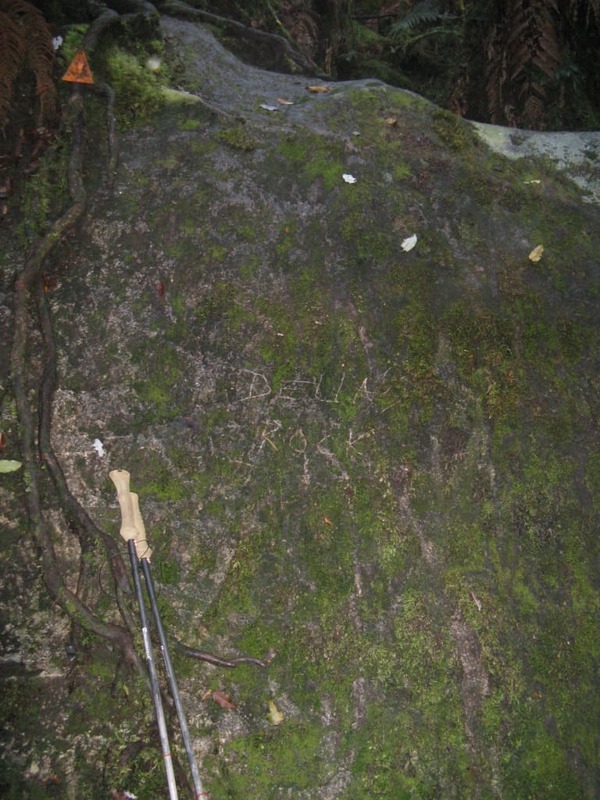 Della slipped off this rock in 2011 and dislocated her shoulder (photographed 2012). Mathoms In Your Pack: We are all always trying to lighten our load, searching for those unnecessary items which would best be left at home, but it would be unwise to jeopardise safety for lightness. A case in point: for over twenty years I carried an elastic bandage and a cotton sling in my pack, the first in case of snakebite sprains etc (I also carried Panadine Forte and Diclofenec anti-inflammatories for the same reason), the second for a broken arm from a fall, etc. Now, after all that time it might have been sensible to reconsider the weight they were adding. Then, in 2011 I took Della to Supper Cove, Dusky Sound, Fiordland NZ. She had not been there better than an hour when she slipped on a rock and dislocated her shoulder, so that I needed all these ‘mathoms’ at once! PS: the ‘Helimed’ evacuation (called ‘Medivac’ in NZ – and FREE!) was a spectacular ride – just a pity Della didn’t enjoy it much despite all the morphine they were giving her! NB: Satellite phones DO come in handy!